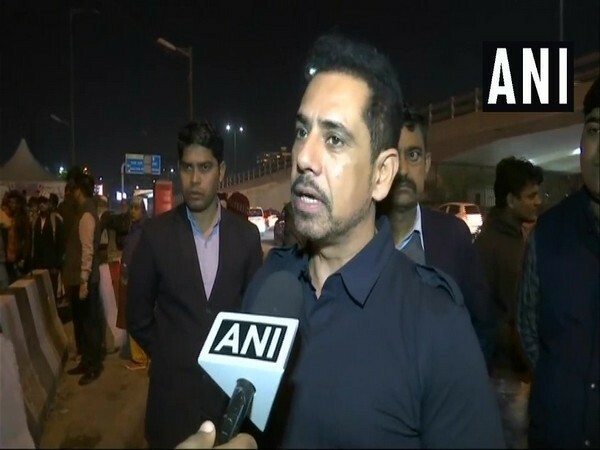 New Delhi (India), April 1 (ANI): "Truth and justice have prevailed," said businessman Robert Vadra after being granted anticipatory bail in a money laundering case against him. "I am truly heartened that truth and justice have prevailed today. Even in the face of the barrage of false allegations against me, I have constantly maintained that I will cooperate fully with all investigations and I firmly believe that the truth will speak for itself. My unwavering faith in the judicial system has been vindicated. I am deeply grateful to all my friends and well wishers who have given me strength and support throughout," Vadra wrote on Facebook. Special CBI Judge Arvind Kumar while granting anticipatory bail to Vadra and his associate Manoj Arora earlier today, directed them to furnish a personal bail bond of Rs. 5 lakh each and surety of like amount. Furthermore, the court imposed bail conditions on both of them, whereby the duo cannot leave the country without permission. They will have to join the investigation when called upon by the authorities, the court stated. The court also ordered that the accused persons shall not tamper with evidence or influence witnesses. In the previous hearing on Thursday, the Enforcement Directorate (ED) had sought custodial interrogation of Vadra in connection with the money laundering case.